I accept paypal as the only pay method and is expected immediatly upon check out. It is important to make sure your address matches your Shopping paypal address. Otherwise I would have to make sure of the correct address which would delay the order. All orders outside of México (to USA and everywhere else) are shipped via USPS Priority Mail and you can track the package to be certain it safety arrives. Shipping days take place the following Tuesday of your day of purchase. If you have a special request, let me know, I will be happy to coordinate the shipping, so you will be able to recieve it that special day upon your request. Vives o estas en Tijuana? favor de contactarme a hilvenik [at] gmail.com para hacerte la entrega personalmente !!! I want you to be happy with Hilvenik, but if you are not completely satisfied with your purchase, I will gladly accept returns within 5 days of receipt, minus the shipping cost. 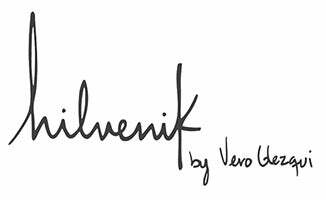 Please contact me via email at hilvenik [at] gmail.com before initiating a return. Wholesale inquiries are welcome! Just send me a convo to find out terms and pricing.